basic weave with a very small repeat, in which two warp and two weft threads are interlaced in a variety of ways. The simplest and thickest interlacing of the weave is reversible (i.e. the face and back of the fabric are identical). 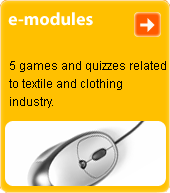 The most widespread weave is used in cotton and woollen fabrics.